There’s more to your business than accounting; and sometimes, to get the job done, you need extra tools. 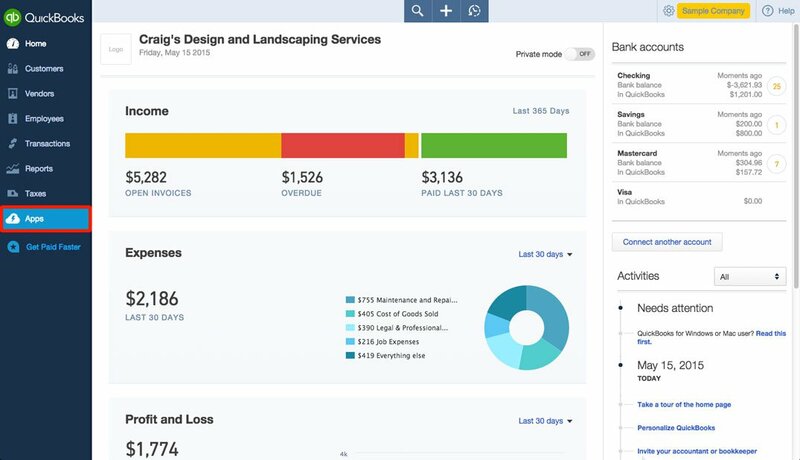 QuickBooks Apps expand the capabilities of QuickBooks Online, each working together to improve your business. 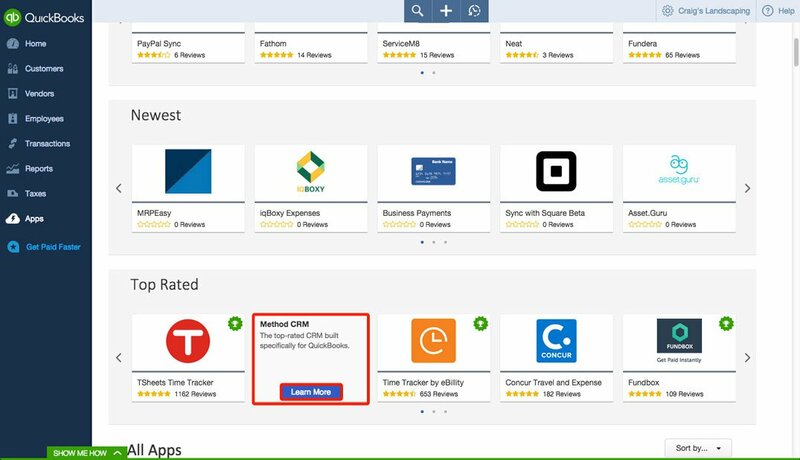 There are many apps to choose from, so select the ones you like and connect them to QuickBooks. There’s no cost for this--all QuickBooks apps are free to try! 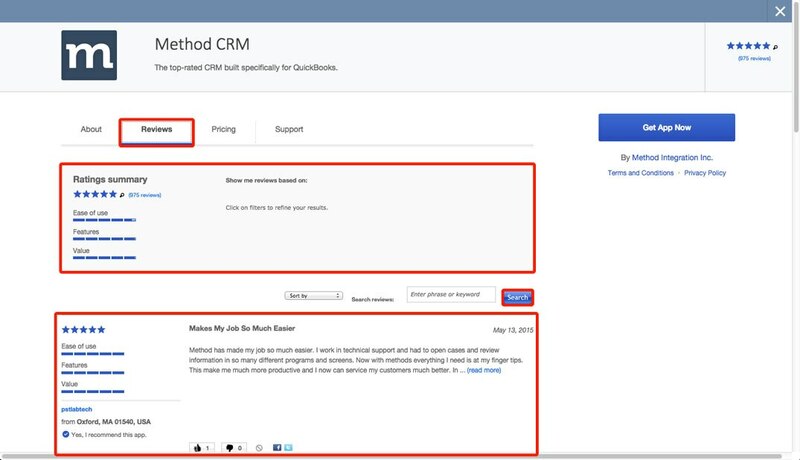 Your information will link automatically, moving back and forth between the app and QuickBooks and saving time without the need to enter the same details in different places. Here’s how it works. From the home screen, go to the Apps tab on the navigation bar. Browse through the different options and categories. There are Apps sorted as Featured, Newest and Top Rated. To learn more about a specific app, click on it and choose Learn More. 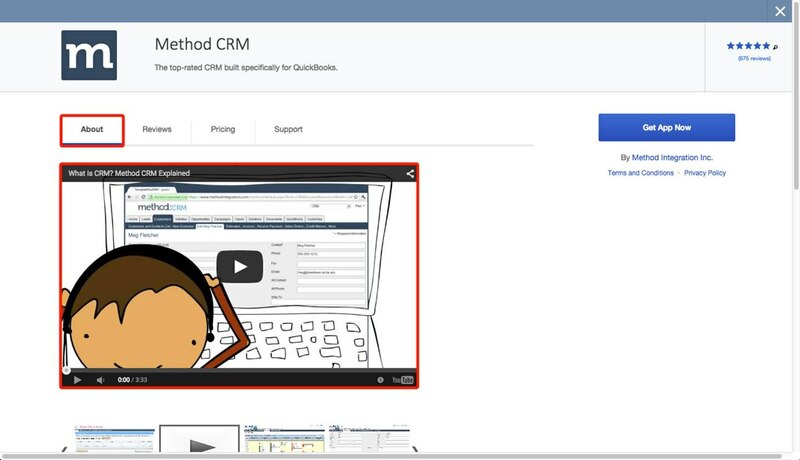 On the Learn More menu, you can check out details about various QuickBooks apps. For example, in the About section, you can watch videos about the app’s functions, features and more. In the Reviews section, you can read and search app reviews. You can also inspect ratings summaries and sort and refine your search results. In the Pricing section, you can check out the pricing details for the app. You’ll also see the different plans, prices, users and details offered for the app. In the Support section, you’ll find contact information and links so that you can reach out for technical support included with your subscription. You’ll also find several links to frequently asked questions. 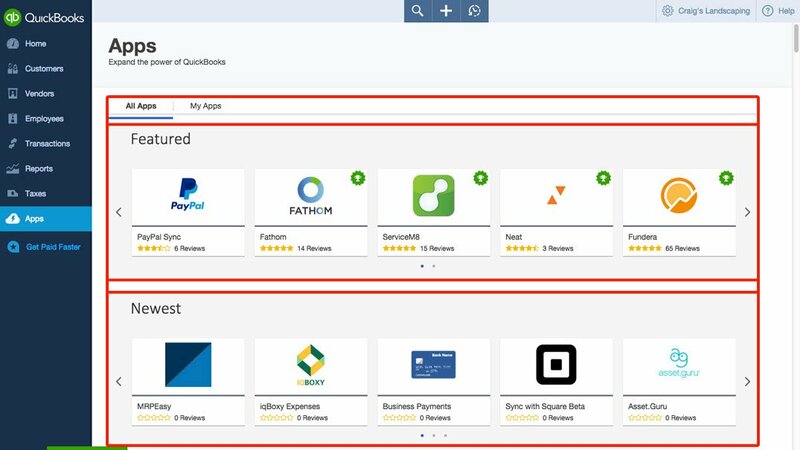 Each app is easy to add, connecting seamlessly with QuickBooks and launching straight from your account. Whenever you decide you want an app, just click on the “Get App Now” button on the right side of the screen. Click Authorize to securely share your data with the app.